Charlie is never happier than when he’s on the water or fooling about in the boat yard. More importantly, he’s the logistical mind behind our scheduling system. 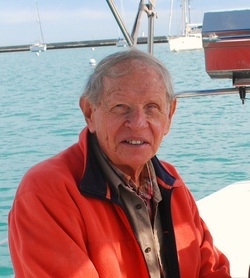 He spent the past 12 years or so analyzing consumer usage of fractionally leased sailboats and has gradually honed a system that makes the fractional sailing experience mimic that of the ownership experience--without, of course, the hassles of maintenance. When you call, you’ll most often reach Marilyn, which is good as everyone seems to agree she’s about as pleasant as they come. She keeps the books, does the rigging and generally makes sure that the rest of us are where we should be, doing what needs doing. 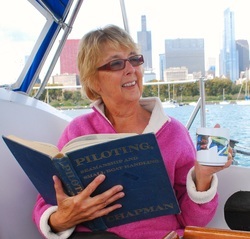 She’s usually the first to recommend that we take a break for a Southern Comfort Manhattan, which – we all agree – is not a bad trait at all for a sailor. Mark is our primary craftsman, and a highly skilled carpenter. He may well be the best epoxy guy on the lake. He first met us as a customer when he suggested an improvement to Cloudsplitter and asked if we would mind if he gave it a go. We thought that was an excellent idea. He’s been hooked on restoration work ever since. Over the years, Mark has greatly expanded his toolset and now leads the majority of our restoration projects. He’s known for his penchant for perfection and cooler full of diet Coke. Gary started working with us not long ago, but has quickly made himself invaluable. He does a little bit of everything. 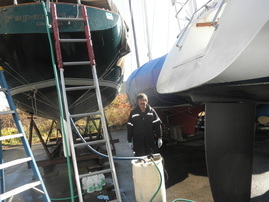 A skilled carpenter and general boat work wizard, Gary handles a good deal of the maintenance and restoration work. He's also an avid racer and will be leading our team in the Leukemia Regatta. George is our mechanic, which makes him pretty invaluable. He’s good at what he does. 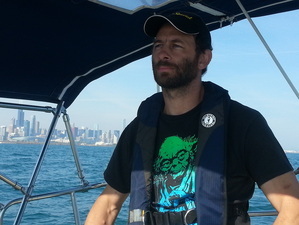 When he is not working on our boats, he maintains the tenders (water taxis) for the Chicago Park District. When he’s not working on the tenders, he can usually be found at O’Hare where he passes his time as an airline mechanic. 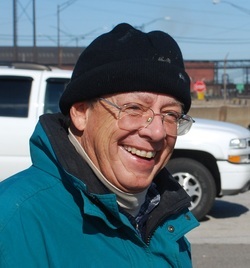 George rides a motorcycle to the harbor when he’s not lugging equipment, and occasionally rides up to Michigan to relax on a dock or take his girlfriend turkey hunting. When needed, he’ll bring his scuba gear to inspect the hull or retrieve a dropped tool. And, he manages to look good with a mustache. In short, George is likely the coolest member of the team.